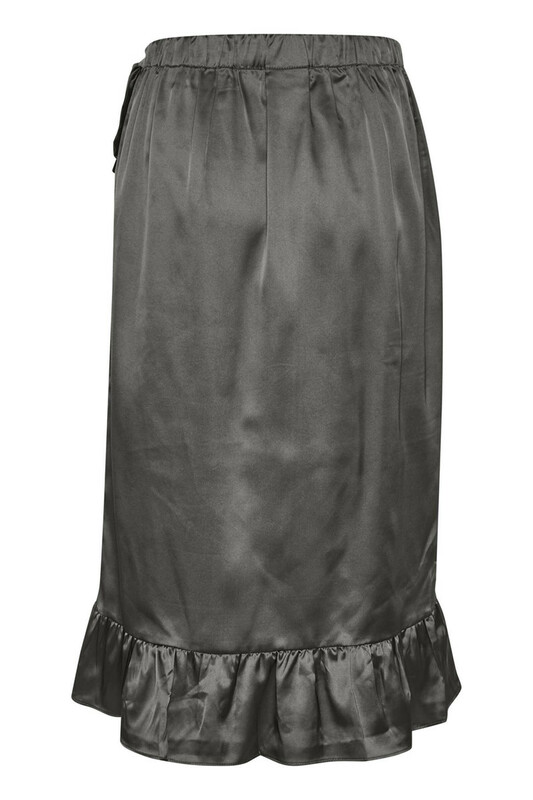 Beautiful and elegant mid-skirt from KAFFE. 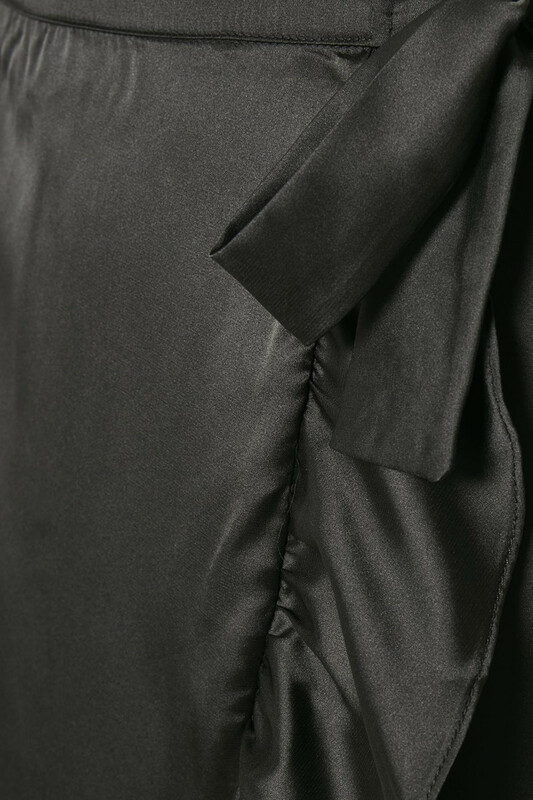 The skirt has this wrap-look, elastic waistband and a cute detail tie function at the side. 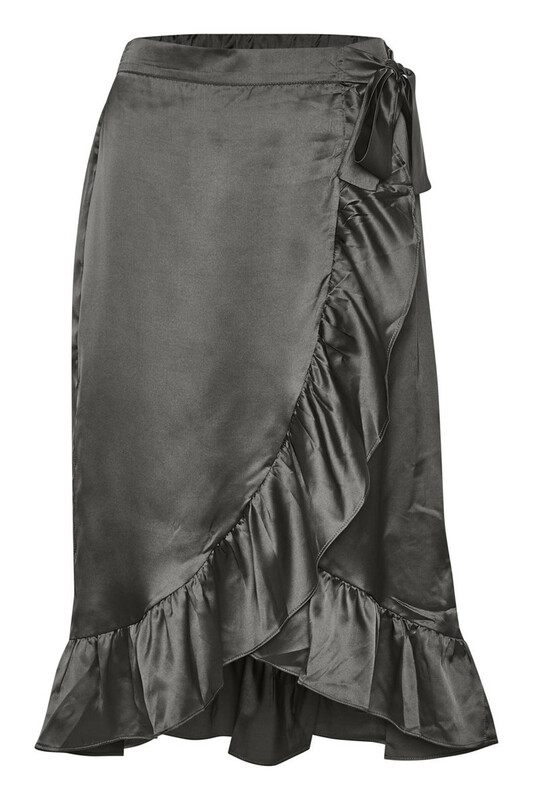 The wrap-skirt has ruffles at the bottom and on the front. It's a really trend long skirt with a regular fit that can be used for both everyday use and festive occasions. It's easy to style with a T-shirt for an everyday look and an elegant silk top for a trendy party look.